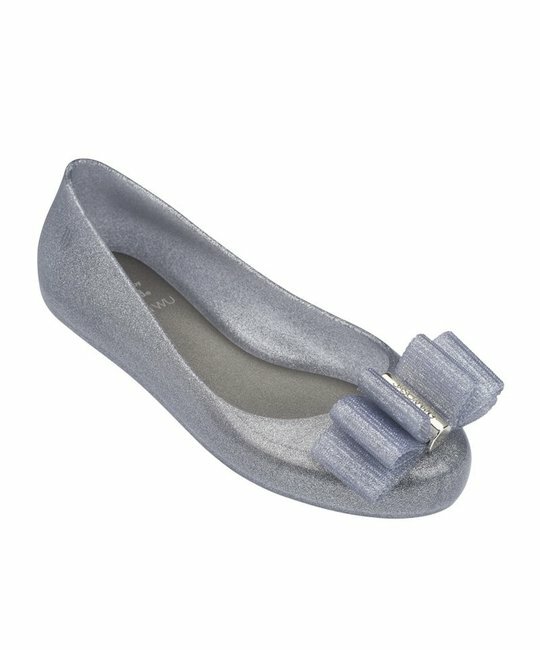 Mini Melissa silver Mel Space Love + Jason Wu ballet flats with rippled bow detailing at the toe. PVC upper, lining and sole padded insole. Bubble gum scented, Made in Brazil.